It’s easy to drink too much at your first back garden BBQ of the year in the warm Spring sunshine, then get behind the wheel next morning and still have alcohol in your system. Any alcohol can slow your reaction time, inhibit judgement, reduce concentration and affect eye, foot and hand co-ordination – increasing the likelihood of an accident. Using a personal breathalyser could be a life-saver for you, your passengers and other road users. So, this Spring, win a top-of-the-range AlcoSense Ultra breathalyser to check you’re fit to drive the morning after. According to the latest Department for Transport stats, there were 9,050 casualties on UK roads in 2016 due to drink driving including 240 deaths. Of the non-fatal casualties, 1,260 were seriously injured and 7,550 slightly injured. 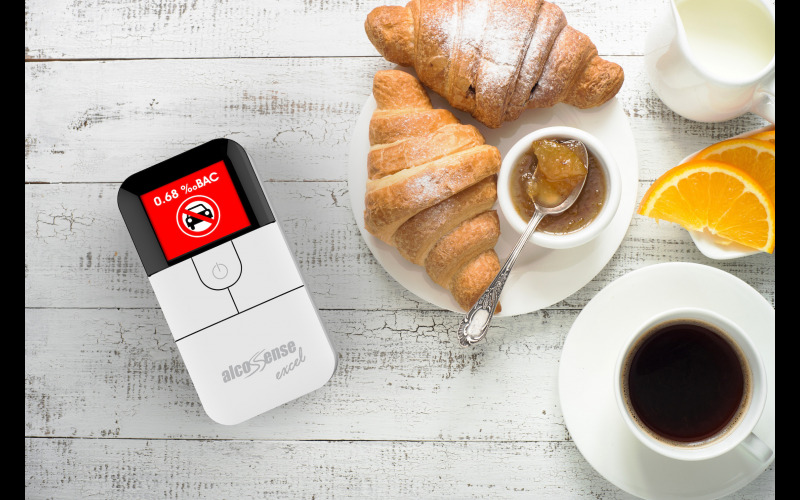 The AlcoSense Ultra uses exactly the same professional 200mm2 fuel cell alcohol sensor as several UK, US & European Police breathalysers, taking accuracy, features and ease of use to a new level. It features a full colour 1.8 inch (48mm) screen which gives you clear traffic light coloured screens with detailed readings of your alcohol level in both blood or breath readings. The Ultra not only alerts you NOT to drive if you’re close to or over your chosen limit, it will even calculate how long it will take until you’re sober and set an alarm to re-test you again later. All European and several worldwide drink drive limits are pre-set on the Ultra so it’s easy to use on any cross-border road trip year round. AlcoSense breathalysers are supported by Brake – the road safety charity.